Price Chopper: Tiny Toast Cereal As Low As $0.24! 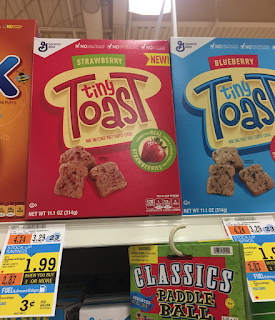 Tiny Toast Cereal is included in this weeks $1.99 sale! Deal: Buy 2 Tiny Toast, use (2) $0.75/1 & saving Star + Buy 1 Lucky Charms, use $0.50/1 = $0.40 each + gas savings.